Santa Rosa is in desperate need of homes and apartments, and city officials are pulling out all the stops to make it happen, including waiving development fees and relaxing rules on a scale not yet seen in the area. In March, the Bay Area Council business association invited dozens of developers, investors, architects, brokers and others in the building industry on a tour of Santa Rosa to scope out the city’s potential. The response was overwhelming — the council filled a bus in 48 hours, and nearly 70 people ultimately joined the trip. Developlers walked away with a new appreciation for the area after touring Santa Rosa and seeing first-hand empty land, vacant buildings, parking lots and garages that could be turned into housing. Officials estimate Sonoma County has a shortage of 30,000 homes after the 2017 wildfires. While rebuilding has begun and communities are bouncing back, officials feel it still isn’t enough. The city is looking to build multi-family rental apartments to house those that don’t want to or cannot rebuild. And Santa Rosa officials are considering raising downtown building height limits, now capped at 10 stories, and reducing parking requirements. In addition, they hope to increase the city’s density and population by making downtown Santa Rosa more vibrant. Developers hoping Santa Rosa will be the next hot market still have to win support from the community. Local residents are on board with the city’s redevelopment efforts and of attempts to revitalize the area, but are concerned about the challenges and issues that may arise, including more traffic, less parking, and lower-income residents being priced out of the area. November saw a steep decline in home sales and a dramatic jump in available homes…all good news for buyers. The median home price fell to $615,000 from its $700,000 peak in August of this year, representing a 9% decline. Home sales fell it its lowest level in 8 years, while the number of homes on the market increased 77% from the same time last year. Many feel that the correction is due in part to the fact that the wildfires put a significant demand on market availability, driving prices up as buyers were desperate and willing to pay more to secure a new home. However, many of those buyers have now purchased a home and are no longer in the market and that, along with the typical market slowdown that occurs every winter, is driving a steeper-than-normal slowdown. Real estate professionals anticipate another bump in the market when fire victims’ insurance payments run out and those who lost their homes and are unable to rebuild will enter market looking to buy a home. Many feel that a market correction is long overdue. It has been predominantly a seller’s market for the last few years in Sonoma County, and still remains so but less than in the past. If the current trend continues, Sonoma County will return to more of a balanced market, which works well for both the buyer and seller. The Sonoma County Board of Supervisors unanimously decided to scrap a plan to sell the former Sutter Hospital Campus in Santa Rosa to a developer that was planning to build 867 housing units on the site. The vote last month puts an end to a developer’s vision to build a mix of housing on the 82 acre-property in Santa Rosa. After last year’s wildfires which destroyed thousands of homes, Sonoma County has been faced with increasing demand and low supply and availability of affordable housing. The board chose not to appeal a July ruling from a Superior Court judge who said the county incorrectly decided the sale agreement with the developer was exempt from state environmental review requirements. Supervisors instead directed county staff members to go back to the drawing board by offering most of the property for sale again. State law requires that the County offer the property for sale to government agencies and qualified non-profits first. Supervisors will give those groups the option to purchase the site, which is comprised of 13 separate parcels, either in its entirety or in smaller pieces. 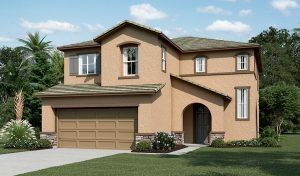 Realtor.com ranked Sonoma County 19th among housing markets where affordable homes get snapped up quickly. In February, the average days on the market remained at 67 days, compared to the now top-ranked Vallejo-Fairfield area with 33 days. A year ago, Sonoma County ranked 8th with a median 48 days on the market. Sonoma County has consistently ranked high and help the top ranking in 2015. While homes sales have fallen a bit over the last few years, the ranking is more than likely due to the persistent low inventory issue that has been plaguing the County for the last year. Thus far, 2017 is shaping up to be a seller’s market and recent survey shows that buyers are more willing to get off the fence and purchase this year, making for ideal conditions. It comes as no surprise that California dominates the list, with 12 of the top 20 markets. Rounding out the list is San Francisco/Oakland (2nd); San Jose/Sunnyvale (5th); San Diego (6th); Sacramento/Roseville (7th); Stockton/Lodi (8th); Yuba City (10th); Modesto (11th); Oxnard/Ventura (14th); Fresno (15th) & Los Angeles/Long Beach (20th). An interesting look at the challenges faced by potential homeowners during the last several years in Sonoma County, as well as a look at the future of the housing market. Sonoma County has been plagued with high demand and low inventory. At the same time, many home owners have been priced out of the market due to ever-increasing home values. It is anticipated that the County will get some relief in the form of lower rents and additional new home construction this year.